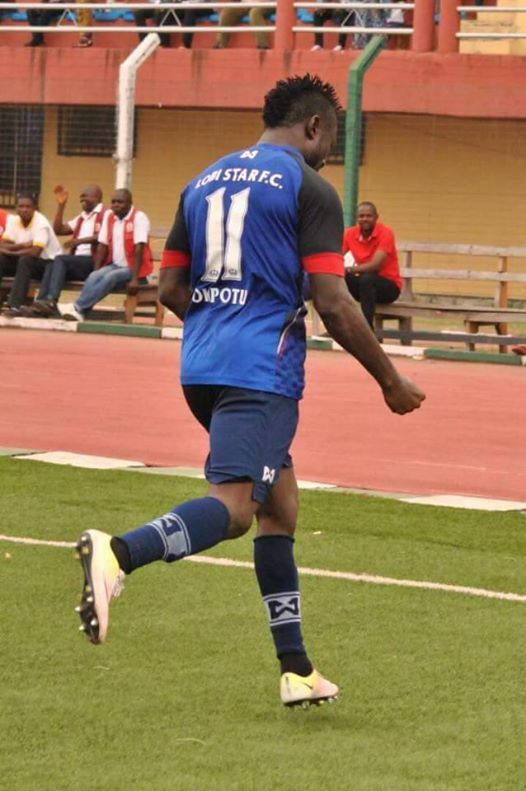 Lobi Stars enterprising forward, Tony Okpotu, put up a magical display Wednesday to earn a place in the record books this term as the first player to score double hat-tricks in the Nigeria Professional Football League. Okpotu scored his first hat-trick this term against Sunshine Stars. 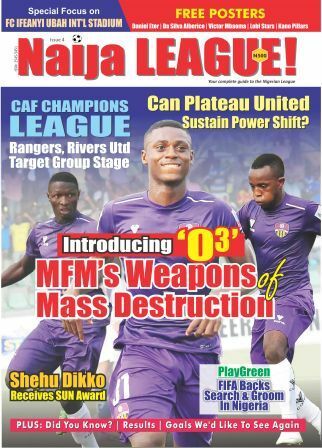 The feat was achieved in Lobi Stars’ 3-1 victory over MFM on match day 23, with a quick-fire treble from the talented forwarded in the first half. Okpotu scored in the 20th, 28th and 31st minutes, respectively. Fondly called ‘The Panther’ for his electrifying display in front of goal, Okpotu scored his first goal from a thunderous free-kick outside the box and increased the lead after a defender fumbled with the ball to it behind the goalkeeper. Okpotu completed his hat-trick when he beautifully connected a header off an assist from Ezekiel Mbah. “I'm happy with my season so far. I have worked hard on my freekicks during training with David Tyavkase. Wednesday’s hat-trick takes his tally to 10 this term. 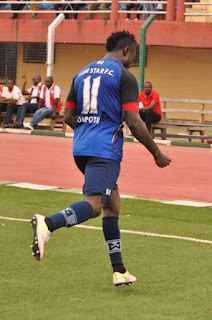 Okpotu has been consistent in front of goal as Lobi Stars top scorer since 2015.